This is the fun stuff!! 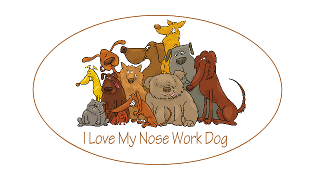 We have commissioned Nose Work themed magnets, stickers and decals. The black and white paws measure 5.5″ x 5.5″. The oval measures 6″ x 4″. The bone measures 7″ x 2.25″. The Love (heart) Nose Work measures 7″ x 3.5″. They are all Made in the USA. 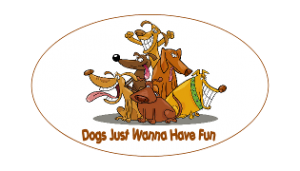 These, Made in the USA, gloss vinyl stickers display a pack of fun-loving cartoon dogs of all shapes and sizes. 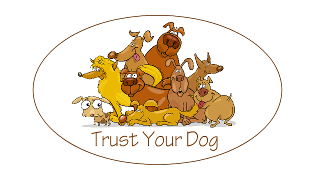 They are a 3″ x 5″ oval that can be used on your car, scent kit, dog crate, phone case …….. This, Made in the USA, white decal measures 4.5″ x 2.5″. Application instructions are included in the packaging.